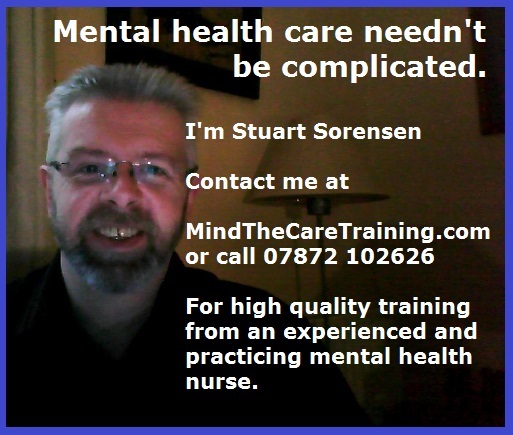 It’s easy to get in touch with Mind The Care Training. When you do you’ll know you’re dealing with a genuine trainer and care provider – not a sleazy sales rep with a quota to fill. Stuart takes care to design and deliver exactly what you need based upon your particular requirements. Are you looking for a bespoke seminar? Is it a speaker for your next event that you’re looking for? Maybe you’re looking for hands-on support and advice for your team. Whatever you’re looking for call Stuart on 07872 102626 or Email stuart.sorensen@Gmail.com and we’ll do the rest.